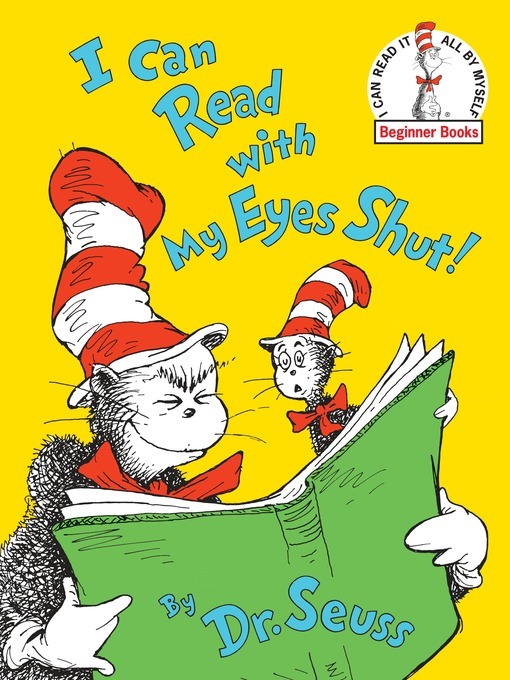 Dr. Seuss and the Cat show that reading is fun—even when you don't look at the words!—in this classic Beginner Book. "The more that you read, the more things you will know. The more that you learn, the more places you'll go." Whether reading in bed or in purple or brown, reading is fun—even upside down. And whether reading about hoses or roses or owls on noses, I Can Read with My Eyes Shut is a hysterical way to discover the joy of books.